As per GDPR Compliant, the Account Delete Magento 2 Extension allows the user to delete his account from Magento store anytime. Our Magento 2 extension to delete customer account facilitates easy and user-friendly navigation to delete the account from the Magento store. As per GDPR compliance, the user can delete its account any time as and when required. 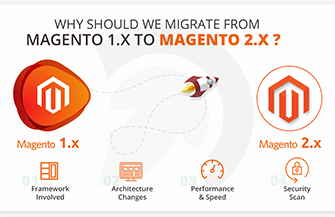 Our delete account Magento 2 extension provides all custom configurations that easily allows the user to delete its account from the Magento store. Not only this, but our Magento 2 delete account extension also provides email confirmation mechanism to verify the deletion of the account from the store. As per the GDPR compliance, if the user wishes to discontinue the use of service, the user is free to delete his account as per his choice. Our GDPR compliant Magento extension allows Admin to give trust to the user that his details are safe and he can delete his account any time in case if he wishes to discontinue from the store. Our delete account Magento 2 extension provides an easy way to the user to delete his account from the store. The user just needs to log in to his account and navigate to “Account Section” and then needs to click on “Account Delete” link. Thus, delete user account Magento 2 extension allows even the novice users to delete their account easily. 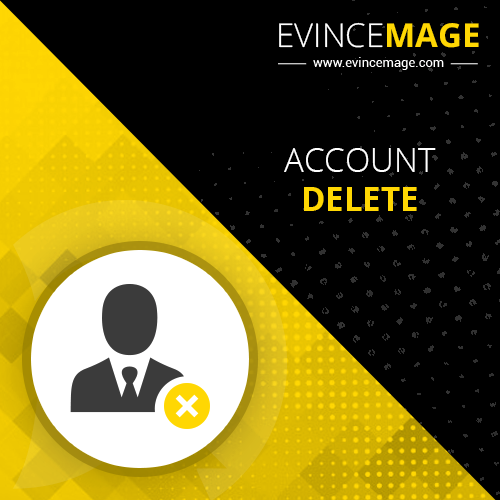 Once the user clicks on “Account Delete” link, our Magento 2 extension to delete account provides a two-phase process to delete the account. Firstly, the user can submit the reason to delete the account from the Magento store. This step states its importance as it provides a feedback mechanism to the admin for improving the services. In the second step, delete account Magento 2 extension has email confirmation mechanism to validate the authenticity of the user to delete the account. As an authentication mechanism, the delete customer account Magento 2 extension provides an email verification step in order to validate the authenticity and provide confirmation to delete the account. Our delete account Magento 2 extension, sends a confirmation link to email registered with user’s account. The user needs to click on the confirmation link sent in that email. Our Magento 2 extension to delete account deletes user account only if the user clicks on the confirmation link sent in the confirmation email. Upon the successful completion of above-mentioned steps, our delete account Magento 2 extension sends a notification email to the admin upon the successful deletion of the account by the user. Our delete user account Magento 2 extension offers the facility to configure custom confirmation email to be sent to the user when requesting to delete the account. In the same manner, the delete account Magento 2 extension enables the admin to configure notification email to be sent to the admin upon successful deletion of the account. Our Magento 2 delete account extension for Magento is programmed to operate across all the Magento 2 extensions. No matter what is the version of your Magento 2 store, our delete account Magento 2 extension is easy and flexible for all Magento 2 versions.